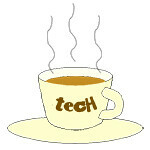 TCL « Tech bytes for tea? The first day of the IFA GPC 2018 comprises a series of power briefs by industry leaders and analysts on the latest trends and products in consumer electronics and home appliances. Here is a rundown on what transpired in those proceedings. Day 1 of the IFA GPC 2018 kicks off with the MC, Dave Graveline, handing the mic over to Jens Heithecker, Executive Director (IFA) & EVP (Messe Berlin Group), for the opening address. This year, there are altogether 13 power briefings – a marked increase from last year, which saw eight power briefs and one discussion panel. As I attend these sessions, I will post a brief synopsis of each session on Instagram and consolidate all the synopsis here. Power briefing by Philips on innovative solutions for a healthy and joyful life. Highlight is the new-to-world #SmartSleep solution that will change the way the world sleeps. Philips is positioned to pair clinical research, the latest digital health technologies and design capabilities to create tools that help consumers take better care of themselves and lead a balanced, healthy and energetic lifestyle through nutrition, a clean environment and sleep. Presenting were Liat Ben-Zur, Senior Vice President, Head of Connected Digital Platforms Propositions; and Bernd Laudahn, Market Leader Personal Health DACH – from Philips.